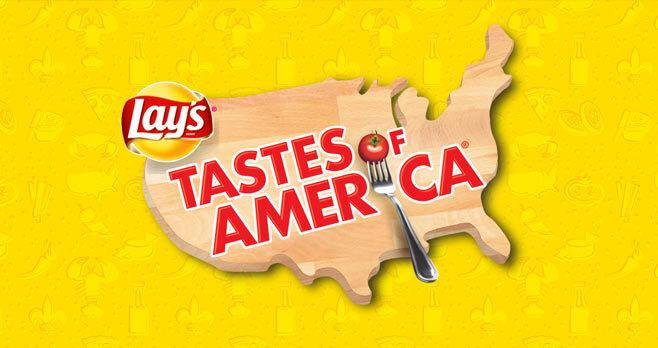 From July 30 through September 23, 2018, visit www.laystastesofamerica.com and enter the Lay’s Tastes Of America Sweepstakes for your chance to win a daily prizes. A total of 5,600 lucky winners will each receive their choice of a hat, t-shirt or mug. Up to $168,000 in prizes are available to be won. Eligibility: The Lay’s Tastes Of America Sweepstakes is open only to legal residents of any of the 50 United States, the District of Columbia and Puerto Rico who are 13 years of age or older at the time of participation. Promotion Period: The Sweepstakes begins at 12:00:00 p.m. (noon) CT on July 30, 2018 and ends at 11:59:59 p.m. CT on September 23, 2018. Limit: Limit one Play per person/email address per day. Prize(s): Each winner will their choice of one of the following items featuring their home state: a hat, t-shirt or mug.